I manage to create and test stuff, inventions, methods and more using a lot of tools and elements I create, bought or found. I always use things other people throw away. If they are worth repairing, then I do that and study how they are built and what kind of internal mechanism they have. Right in front of it a remodeled CNC lathe refurbished from an old Emco 5 thrown away from an old technical school where I thought Robotics for 2 yearsThe electronics and motion lab is fully equipped with instruments and tools ready for any task required. 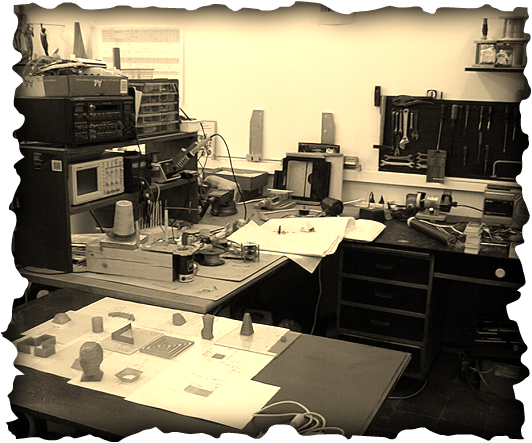 Deep inside the Lab, the mechanical workshop, located as far as possible due to noise and disturbance to neighbors.